This is a public service announcement. 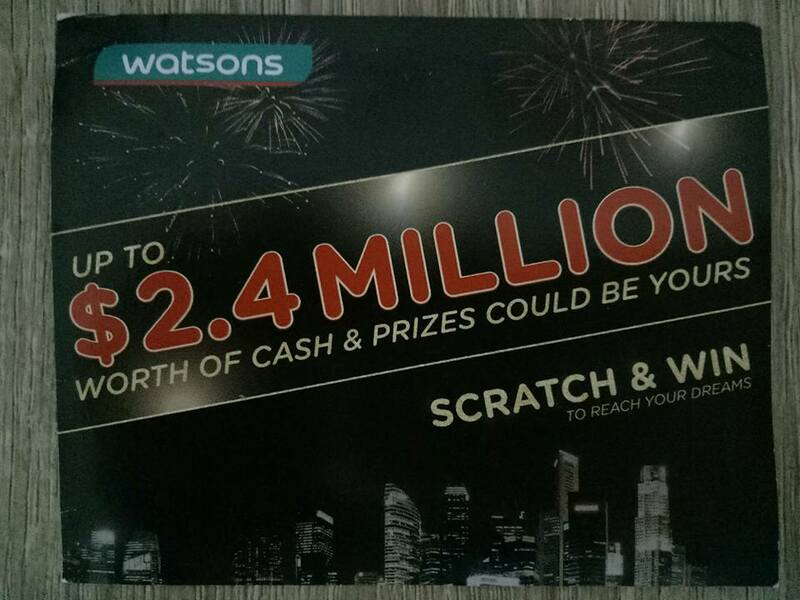 Watsons Singapore is having a “scratch & win” promotion. 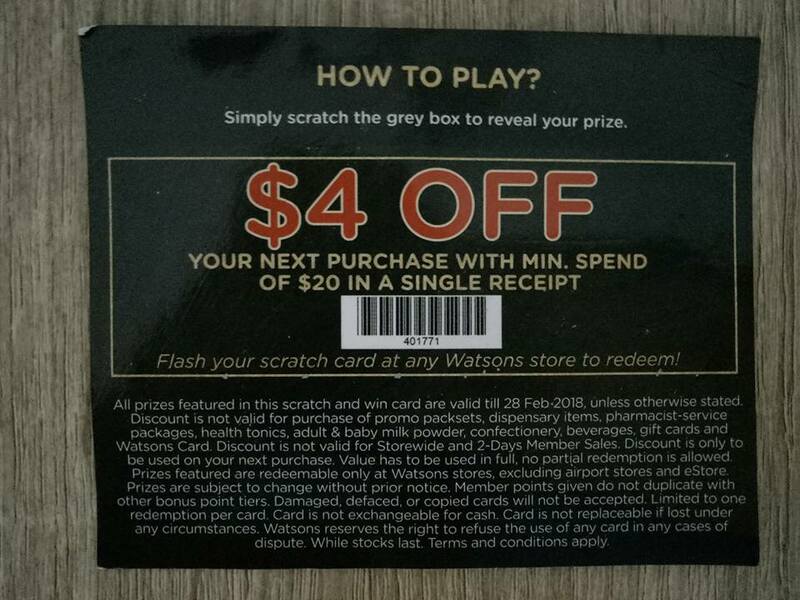 If you happen to “win” a discount coupon like this, don’t rush off to buy >$20 worth of items to enjoy the $4 discount. There are similar rewards patronising other companies. 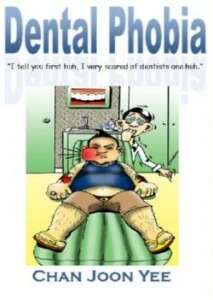 Many customers will assume that they’re all quite similar. I’m not sure if you would be surprised, but this scheme is not as straightforward as getting $1 off your next bottle of beer at the coffee shop after finding a $1 discount rubber seal under the bottle cap. Read the fine print and all the exclusions. Looks like only purchases of cosmetics are valid. For most people, it’ll be as good as not having won. You wouldn’t return the items when it’s your turn at the counter just because you’re not getting the discount, would you? Why Watsons would employ this tactic, I’m not sure. Perhaps, it’s harder to make loyal customers out of beer drinkers. Happy shopping anyway. 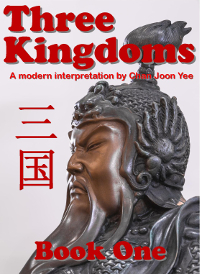 恭喜发财, but hold that thought for a moment while I share something totally unrelated – apparently. 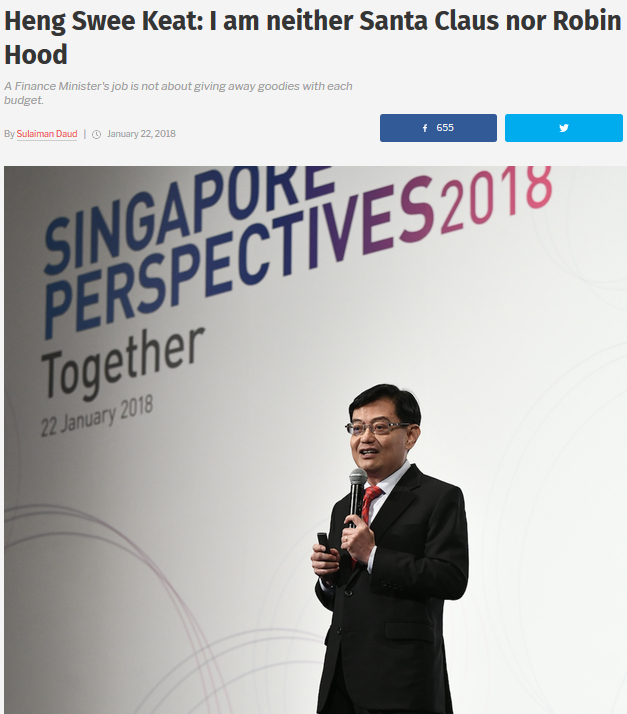 Speaking at the Singapore Perspectives conference organised by the Institute of Policy Studies on Jan. 22, Mr Heng Swee Kiat said that if we’re only looking forward to handouts and goodies, then we’re missing the point of the budget. He’s neither Santa Claus nor Robin Hood. But of course. Who can disagree with Mr Heng on that. Heng said that there are two factors that every economist and taxman takes into consideration. Below are his definitions. I have trouble understanding the first part. I thought the way we collect taxes have been in place for years, with only “minor” changes in rates. The biggest “distortion”, to me, comes from things like diapers. Whether you’re a baby or an invalid, GST must be paid. Homemakers and caregivers are also not recognised as doing work. They don’t get any benefits that officially employed members of the workforce get. When are our resources misallocated? When the Youth Olympics in 2010 cost us S$280 million more than expected? Clearly, the ministry involved had miscalculated by a mile. Perhaps the biggest distortion in our society is that while our salaries for most professions are comparable or even lower than the average in the OECD countries, the salaries of our office holders are the highest in the world. If that’s not distortion, what is? It’s ludicrous to even suggest that if we doubling or tripling the rebates and subsidies of the needy will make them hang up their boots. You may not survive even if you get a handout of $1000 a month. No incentive to work? Bluff who? Well, first of all, I’m not sure if our minister knows what happens in the long run any better than most of us. Must short term solutions always run contrary to long term solutions? What are these conflicting measures specifically? So like greedy pastor’s disciples, we all contribute to that pie in the sky that keeps growing. Where is our share? Never mind your income and its increments which appear to be catching up with our “low” inflation rate of about 3%. Never mind having to quit your profession, retrain for another job that only pays half your salary. Has anyone’s purchasing power increased over the years? Has anyone’s quality of life improved significantly? Is the CPF minimum sum not intimidating more and more people as the years go by and as the pie in the sky gets bigger and bigger? But back on the ground, things have not been very equitable for almost everyone I know. Does it matter how big the pie in the sky is? Is running a country everything to do with numbers, strategies and bang for the buck? One factor seems to have been neglected in all this discussion. It took an outsider to point it out (even though many civic-minded Singaporeans could have done that). Frankly, I don’t think that’s a fair question. The people are as much to blame for basing their happiness barometer on property prices and GDP. Every one of my friends who bought houses for investment over the last few years are not grumbling about the population not hitting 6.9 million fast enough. The rest of us who are choking on the MRT or joining snaking queues to buy groceries bear the brunt of rapid population growth. But just like that Watsons discount coupon, the devil is in the details. How is it that with a massive flood of immigration, we have a shortage of students and some schools have to merge? How is this increased social spending calculated? Are the folks who have benefited from it going to pay back anytime soon? It’s interesting that Mr Heng had bothered to do research on Bhutan. It’s such a waste of time. 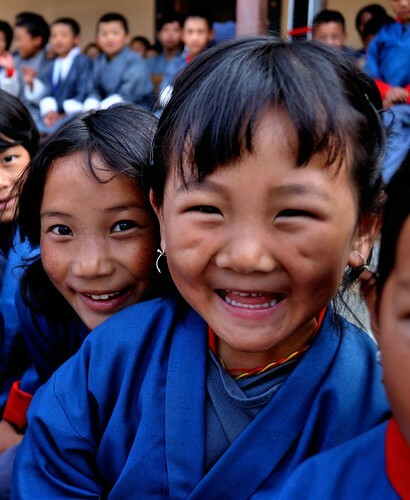 It’s not that I don’t admire the Bhutanese and their Happiness Index. Those of you who know me are aware that I can consume dhal baat for days on end while trekking in the Nepal Himalayas. But this is Singapore! I haven’t met a Singaporean who has survived 3 meals of dhal baat. You can’t have a Tiger’s Nest without a lift or elevator going up. The Himalayas would be fenced up to prevent kids from venturing into the “death zone” – which to the protective Singaporean parent, could be anywhere higher than Bukit Timah. No seafood? How can? No wifi? Die lah! People would also want to prolong their lives with all sorts of advanced gadgets. They cannot accept death the way the Bhutanese accept it. A Happiness Index for Singapore? No way! I wouldn’t even bother doing “research” like he did. In our kiasu society, everyone wants a wide margin of safety for himself. On a good day in the mountains, you’ll find hikers sharing their water with dehydrated folks even though their own water is running out. Sadly, you seldom find such altruism in Singapore. Everyone wants to make sure he is drowning in water before he can offer you a cup to drink. If it’s fair to extrapolate this to the government, we may be tempted to ask if the government must also make sure that it is drowning in cash before it can offer a drop of it to welfare. No increase in GST after GE2015. No increase in water prices. If the situation can change so quickly as to warrant a U-turn, then such assurances are no assurance. Should we take Mr Heng’s reluctance to play Santa Claus seriously? Timing is important. 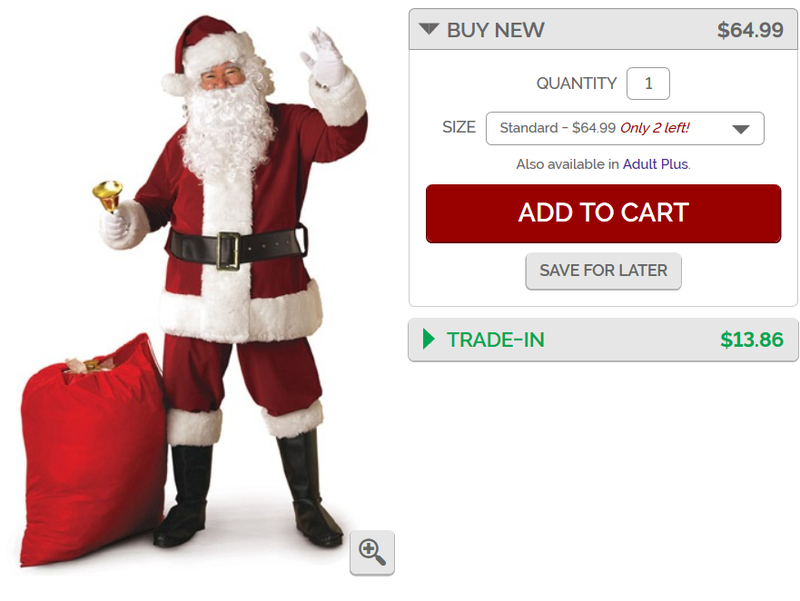 Come Christmas time 2019 or thereabouts, I won’t be too surprised to find Mr Heng shopping online for something like this.